Wake up. Get a smoke alarm! Given that smoke alarms could very well save your life, it’s worrying how many of us don’t have them, or don’t look after the ones we have. At Tack Electrical we’re passionate about fitting and maintaining them, because in our experience our best customers are the ones who are still alive. That’s why we cut our hourly rate in half for any call that involves fitting new batteries, or (ideally) replacing them with lithium batteries that hardly ever need to be replaced. 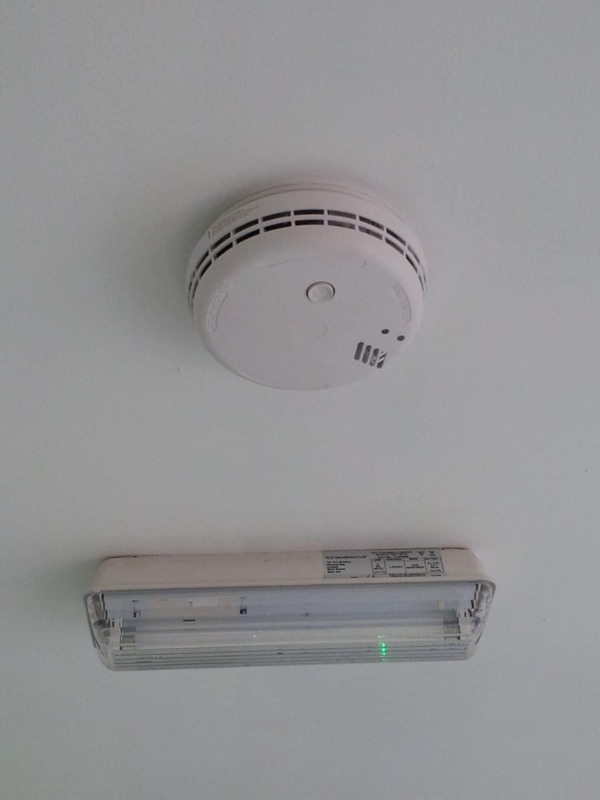 If your smoke detector has been sounding (or you’ve disconnected it because it won’t stop sounding) then please don’t wait another minute – give us a call today to ensure that you, your family and your property are properly protected. A wide range of different smoke detectors are available, from simple battery-operated units to mains powered systems equipped with battery backup to ensure you remain protected even during a power cut. And for the best possible protection, we’ll be happy to advise you on exactly which units you need, and where to place them. So please don’t delay – call us today.